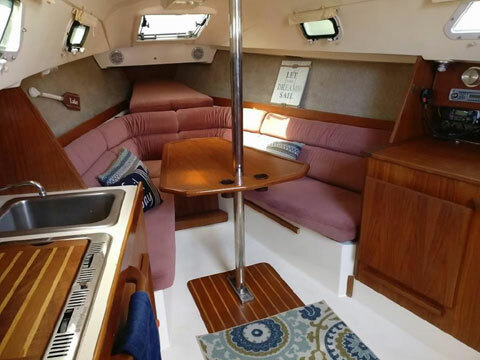 The Pearson 27-2 may be the most spacious 27 footer you've ever been aboard. 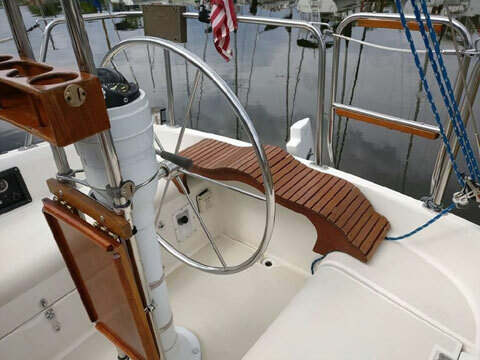 Her 22'6" waterline length and 9'11" beam allow for an extremely accommodating layout both above and below decks. 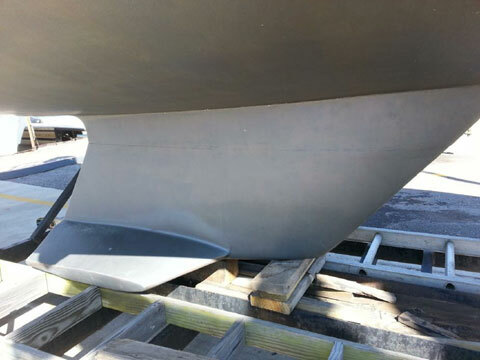 This boat is a fresh water only boat and its wing keel accommodates the shallow cruising ports and destinations while providing upwind performance. 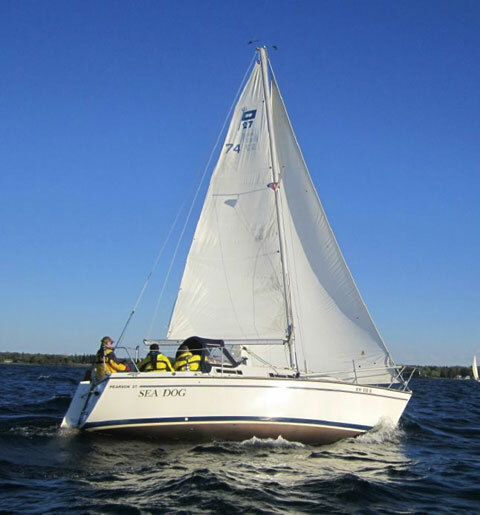 With wheel steering, a new 2017 Profurl C290 roller furling head-sail, and all control lines leading to the cockpit, the P27 is a joy to sail single-handed, though roomy enough to comfortably entertain six adults. 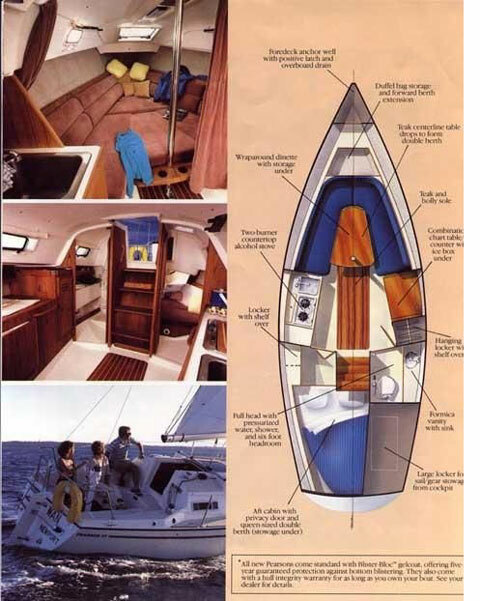 The P27 features an enclosed aft stateroom to port and a large enclosed head to starboard. 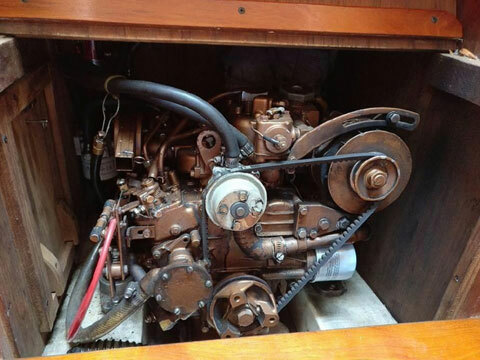 Moving forward, the galley to port is equipped with a two burner alcohol stove, S.S. sink and plenty of storage. 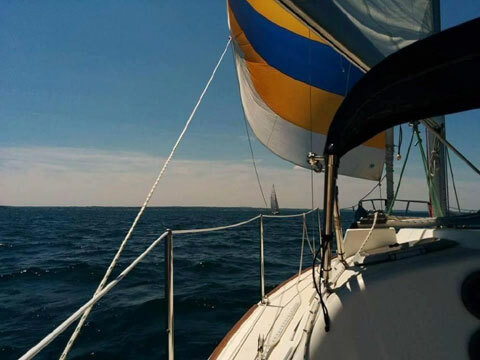 The large, top-loading icebox is to starboard, under the nav station which is equipped with AC and DC panels, VHF, and AM/FM/CD/MP3 stereo with remote control. Forward is a large table with wrap-around seating for 6 which converts to a queen-size berth. Large storage compartments are below the settees. With over 6' of headroom in the main cabin you will find the 27 to be remarkably open and airy for her size. The seven opening ports and two cabin-top hatches provide excellent air flow during those warm summer nights. Profurl C290 roller furling - New!